I decided to make these cute little owls as an end of the year teacher’s presents. I chose an owl because my son is in ‘owls’ class. I hope the teachers will like their small gifts. 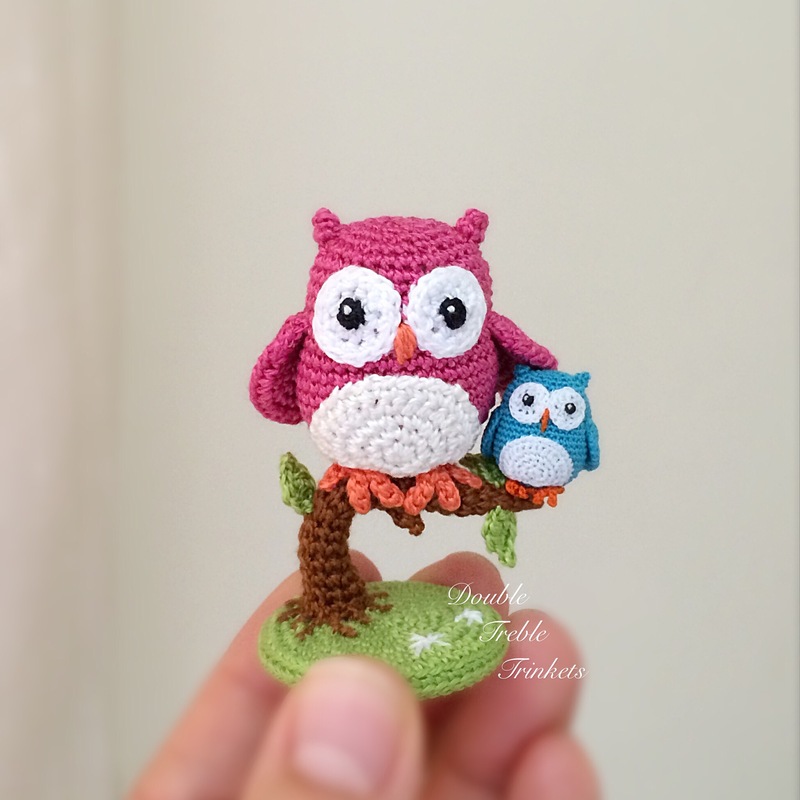 Both owls are made from the same pattern, but different threads/hooks. I used size 8 cotton thread and 0.75mm hook to make the ‘big’ owl and an ordinary polyester sewing thread and 0.4mm hook to make the tiny one. 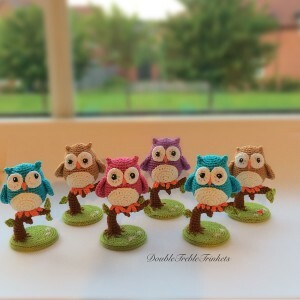 This entry was posted in Animals, Owls and tagged base, owl, teacher's gift, tree. Bookmark the permalink. What is the brand of the hook you use? Hello. These owls are so adorable. I was wondering if I could have your permission to make the products and sell them. I Will tell everyone that the pattern came from you and I will not sell the pattern. 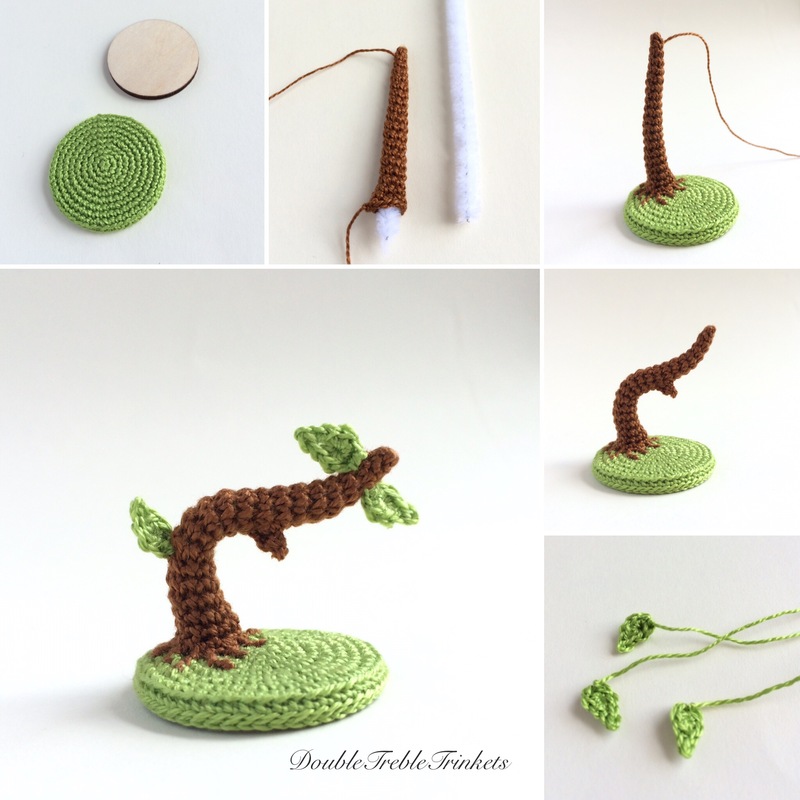 This is again very beautiful.. which size hook did you use for the tree? How do I get the patterns or get a book. I crochet and I would like to know how to make these. Thankyou. I love your work . I am a very lucky teacher as I have an amazingly talented parent to a child in my class who made me this as an end of year present too. Thank you so much for sharing the pattern. She inspired me to pick up a hook earlier in the year so I was browsing through Pinterest for summer holiday inspiration and arrived at your website. Now which pattern of yours shall I see if I can manage before the planning and marking starts again??? I guess I’ll have to try to do this myself! Great work. I love it and am inspired. Ik really like you little owl! Can you please explain how to make the little ears on the head? Ik don’t understand this part. I love the little lambs. Do you have a pattern for them? If I was the teacher of your son I would love to get this special gift. Thanks for sharing this pattern. Hallo i wish a oil for mehr can i Bay this? I think what she/he means is Can I buy a owl or the pattern or something for him/her self…. This is just my thoughts.